Latest research by scientists indicates that initial IPCC (the Intergovernmental Panel on Climate Change) estimates of global sea level rises due to climate change may be a considerable underestimate. According to the New Scientist, some scientists believe that by 2100, sea levels could be one metre or more above current levels. Moreover, even a 50cm rise would lead to a huge increase in coastal flooding events worldwide, affecting perhaps 10% of the world's population. It is therefore imperative that action is taken as soon as possible to combat these rises. To date, sea defences have tended to rely on massive (and expensive) man-made structures, often utilising vast quantities of materials such as concrete which paradoxically actually contribute to the causes of the problem they are trying to defend against. Flyintheface is delighted to announce the forthcoming launch of UP AND UNDER, a new 100% natural mole-based system for combatting sea level rise, which has been successfully piloted on proprietor Fran Crowe's own land! Fran explains: " I used to be upset by the number of moles in my garden and the endless molehills. But then, reading one day about climate change, I realised I was (probably literally!) sitting on a fantastic resource for coping with sea level rise... What's more I have effortlessly created an ideal mole-breeding habitat here (moles love our sandy coastal soils) so I can easily pass on the technology - and moles - to replicate my success in other threatened areas..."
First, dig a small hole and introduce moles to your land. Create ideal breeding conditions for your moles - adding organic nutrients to your soil is a great way to encourage eathworms, moles' favourite food! Over time, as your mole population multiplies (trust us, it will), you will notice soil forming in mounds and the overall level of your land rising. During pilot trials, land rises of up to 50cm have been witnessed in just a few years. Scientists (well, me) calculate that the forecast 1m rise can easily be combatted within the necessary timescales*. Tread lightly on the earth to avoid molehill compaction and tunnel collapse. 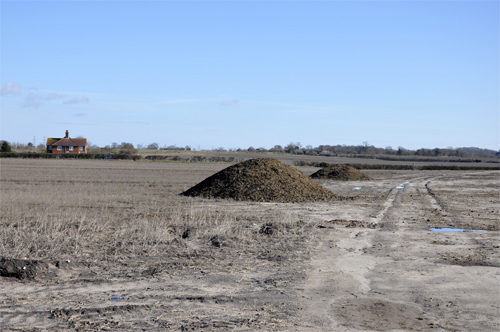 Molehills can be lightly raked over for aesthetic purposes if required. As well as raising land levels, UP AND UNDER offers the additional benefit that the underground network of tunnels can also serve as drainage channels in the event of flooding thus helping to protect your property (though the moles may drown). 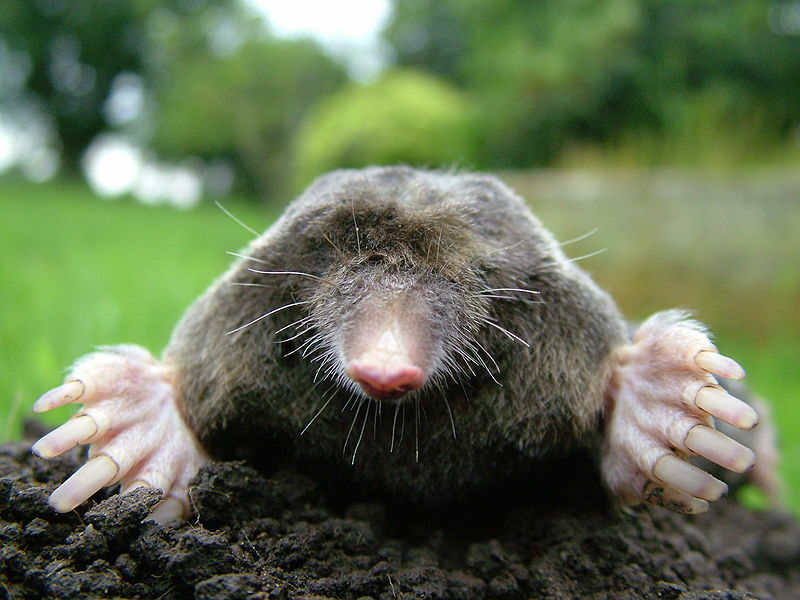 Keep adding organic matter to your soil to ensure a mole-friendly habitat is maintained. Not only is UP AND UNDER effective in areas of potential coastal flooding - we believe significant benefits will also be experienced in areas which are vulnerable to river flooding or run-off after major rainstorms, subject to soil suitability (land covered in concrete or tarmac is not only more vulnerable to flooding due to its non-permeability, it's also pretty unpopular with moles...). Just drop us a line at upandunder@flyintheface.com, letting us know the location of of your proposed UP AND UNDER action and attaching your agreement to the Mole Protection Charter. If accepted onto the scheme, we will email confirmation and contact you to arrange your collection of your starter pack of moles (Note: you will have to catch them yourself). *Disclaimer: effectiveness is dependent on (i) moles being unaffected by climate change in your locality, for instance through habitat change, loss of food sources, increased vulnerability to pests and diseases or drowning (ii) rates of sea level rises not escalating still further due to unaltered human activity. Photograph of mole by Michael David Hill, 2005.